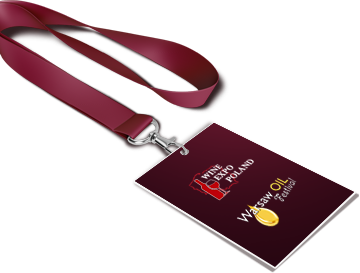 WINE EXPO POLAND and WARSAW OIL FESTIVAL are proud to welcome you in the heart Poland to discover a wide selection of quality wines and oils; don’t miss this unique opportunity to taste and choose between the many producers, distributors and sellers attending the fair! Events will be held in the elegant premises of Global Expo. We deeply believe that you, as a professional trader, or as a big or small user will find something really special! During both fair days, you will be able to taste a different kind of high-quality products, take part in seminar and conferences, discover how to upgrade your knowledge about wine and oils. Experience yourself the atmosphere of the fair, which will get together the top-class producers from all around the world, local dealers, distributors and representatives of the accessories industries.